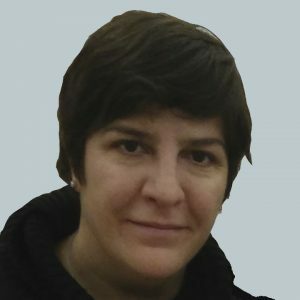 Elvira obtained a MSc (2004) and PhD (2010) in Physics from the University Autonoma of Madrid. Her current research focuses on magnetic sensors based on MTJs. During her PhD, she focused on the growth of epitaxial iron, its structural and magnetic characterization and she performed lithography of wire and antidot nanostructures to study their magnetic properties. She studied the influence of the magnetic biaxial anisotropy of the iron on the magnetic properties of the nanostructures, the combination of the structural and the shape anisotropies. In March 2011, Elvira joined the International Iberian Nanotechnology Laboratory (INL). Her research is focused on the fabrication and characterization of magnetic sensors based on magnetic tunnel junctions. Her main objective is to decrease the sensitivity of the sensors as much as possible and to have a very accurate control of the sensitivity to be able to use the sensors in different applications. During her work at INL she published more than 20 international papers, one patent application and presented her work at several international conferences.